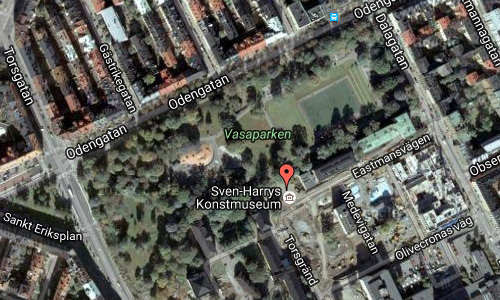 Sven-Harry’s konstmuseum is located between the Vasaparken and Eastmansvägen in Vasastan, Stockholm. The six-storied building is already a sight worth seeing. You are unlikely to have seen anything similar. It is easy to find. 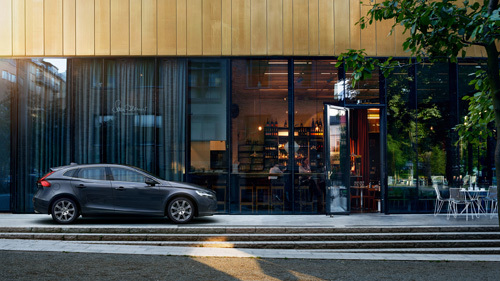 The building attracts the gaze, in spite of it being bordered with luxuriant trees. 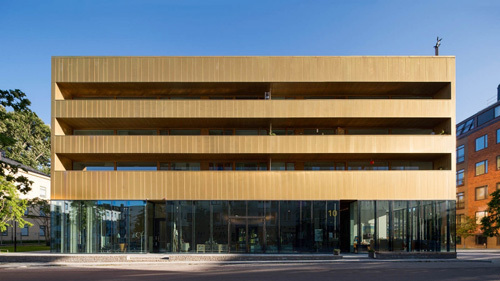 Anna Höglund from Wingårdhs arkitekter has created a minimalist design idiom with large panorama windows and – something special – she has chosen to clad it with brass. At the top is a recessed penthouse where a similarly brass-covered copy of Sven-Harry’s 18th-century mansion, Ekholmsnäs, appears like a little pagoda facing the sky. Here you can see the museum’s permanent exhibition. A roof terrace with room for sculptures surrounds the small building. 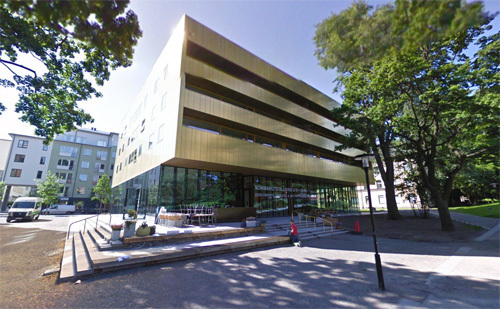 Apart from this, the building has an art exhibition on two floors, totalling 400 square metres for temporary exhibitions. There are also two areas that can be rented, a restaurant and 18 housing tenants. “As far as I know this is the first time that a museum has been integrated with living in this way. It is fun that people can get close to art and vice versa”, says Sven-Harry. 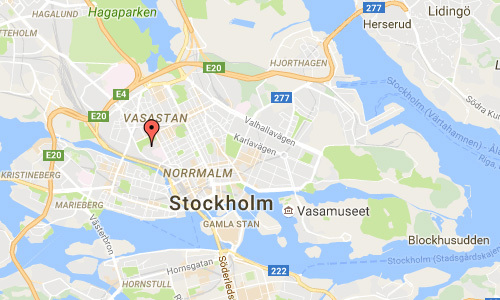 More information at www.sven-harrys.se, www.svenharrys.com and sv.wikipedia.org.